Welcome to 266 Patricia Drive. Located near both Bishops Peak & Pacheco Elementary schools, hiking and walking trails and downtown SLO, this two bedroom 1 bath home sits on just under 1/4 of an acre with a two car garage and driveway for plenty of off street parking. The large backyard has a seasonal creek running along the edge of the property and stunning direct views of Bishops Peak. 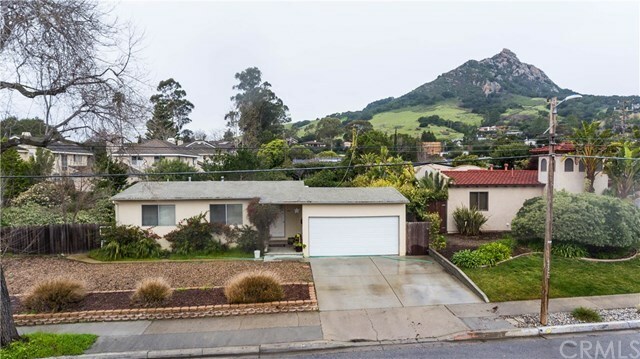 The rear yard can be accessed from either side of the home and the front yard has low maintenance landscaping with plenty of space to enjoy the beautiful SLO life! Directions: From 101 South, exit California, turn right onto California, turn left onto Foothill, turn right onto Patricia. House will be on your left.